When we think of “next-gen” consoles we usually jump at the idea of new, mind blowing, graphics that overall improve ones gaming experience. Now, that’s understanding because for 10 years or so both the PS4 and Xbox One will define console gaming. Now that the launch hype of the next gen console is starting to die down, are these consoles that big of a step up from the previous PlayStation 3 and Xbox 360? The next generation consoles show a wider variety of levels lighting across the whole scene, rather that just the copy and paste norm for different environments (like what was seen on the old generation consoles.) Ultimately lighting adds to the whole graphic experience of console gaming by overall achieving a greater sense of realism seen through the newer next-generation consoles. 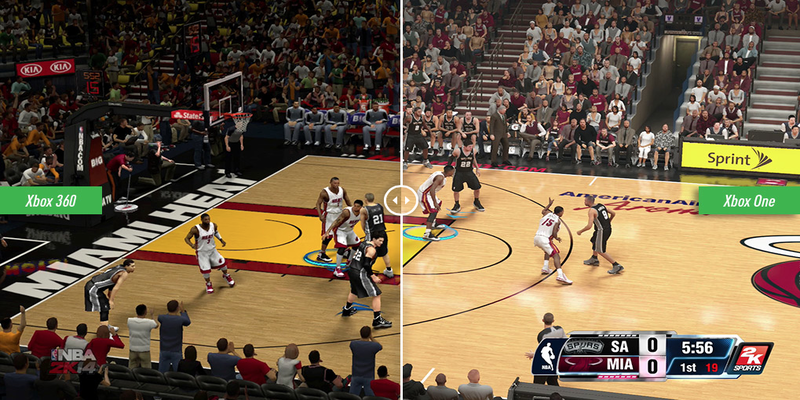 An example of this is shown the picture below from NBA 2K14 as you are able to see the light reflecting off of numerous objects, such as the white jerseys and the video monitors that cover the sidelines and the spots on the court. A step up in graphics doesn’t always result in a greater gameplay. Fortunately, for both the Xbox One and PlayStation 4 this isn't a problem. 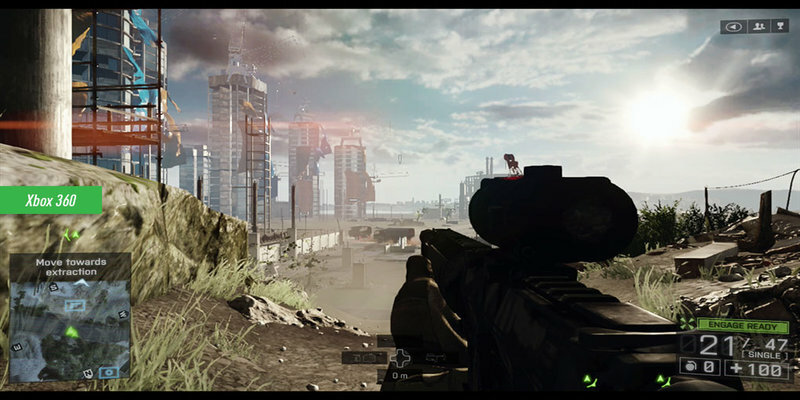 While many developers are able to reach the standard 30fps of the old generation consoles some big titles such as Battlefield 4 and Assassin's Creed 4, the next-generation consoles have managed to double this to 60fps, which has really paid off. When it comes to the first group of titles released to these two consoles Sony obviously has the upper hand when it comes to multi-platform titles. However, in the context we're talking it all comes down higher resolutions. Developers have been more successful at running 1080p at reasonable frame rates on the PS4 rather than on the Xbox One. The image Assassin's Creed 4 below is a perfect example of this. Unfortunately there is just no instance that really sets the next-generation consoles apart from the older PS3 and Xbox 360. A graphic upgrade aside, there doesn’t seem to be much of a step up from the experience of playing older consoles. That being said, the next-generation consoles have only being released for a few weeks now, which means it’ll take time for developers to reach the full potential of the new generation. What are your thoughts on the new consoles in comparison to the old? Let us know in the comments below.